This fairy is eager to welcome in the springtime season! 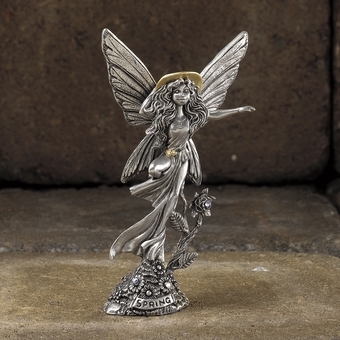 The pixie has a detailed set of butterfly wings and flowing hair, and her dress blows around her in a gentle spring breeze. At her feet, lovely flowers bloom, their blossoms signalling rebirth after a long winter!